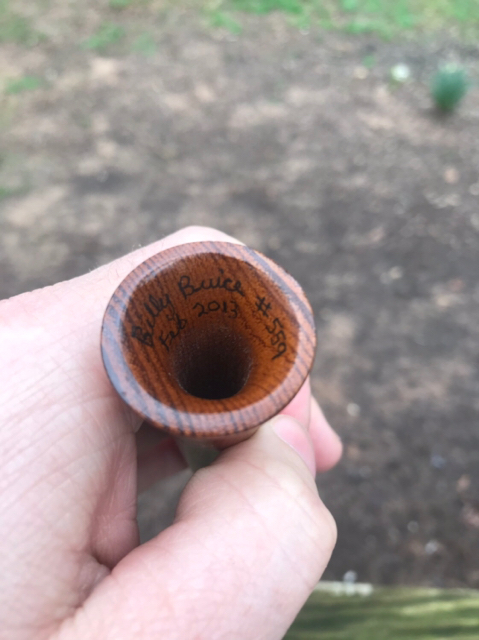 I have a 2013 Billy Buice 6" Osage Trumpet Call I am considering selling to fund another trumpet from Mr. Billy. I know he has a wait so I wanted to see what the interest in the call will be. If someone is interested then I will consider putting it for sale. It would come with one #4 mouthpiece. 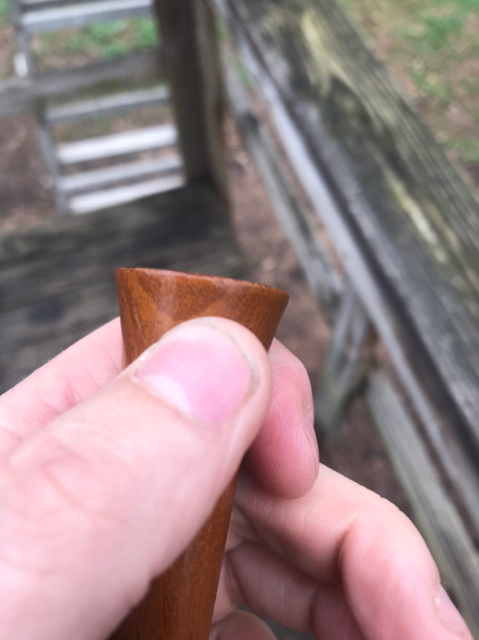 It does have a minor surface crack at bell that is less that 1/8" and is merely surface, it does not go through the wood. Feel free to contact me if you show interest. I am not just posting a for sale in the classifieds as I am not 100% sure I want to sell it. I considered posting on eBay but would rather deal with OG members. 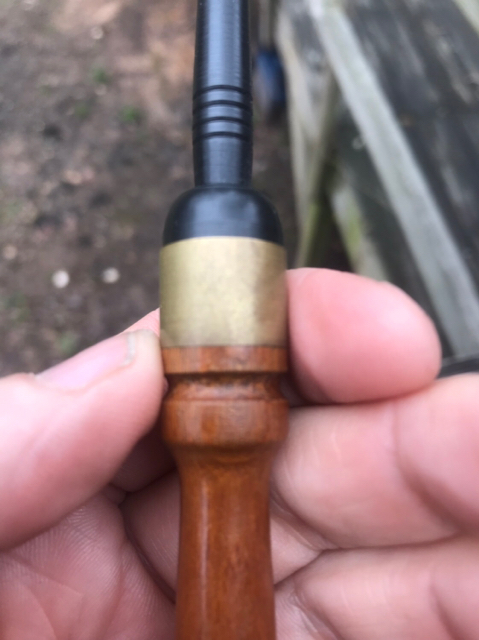 I have been hit hard with messages so just posting photos of call in question. I'm confident you will find plenty of interest. That thing has colored up nice. A proven killer. My osage from Billy has earned a permanent spot in my vest. 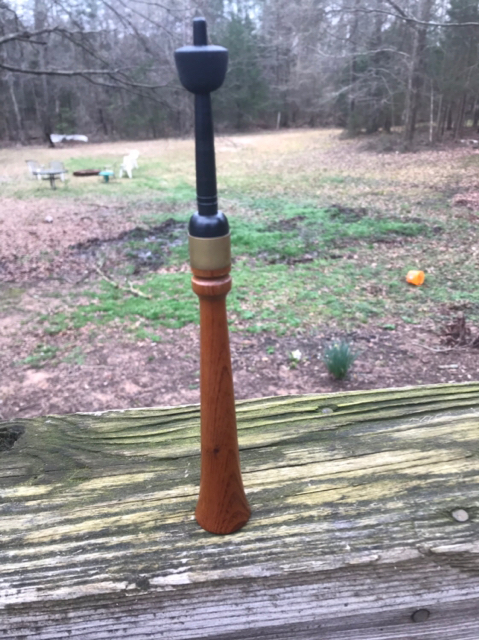 Osage doesn't have the 'flash' of some of the more ornate woods out there, but there is just something special about a Buice osage trumpet. Gobblers tend to think so too. My osage from Billy has earned a permanent spot in my vest. 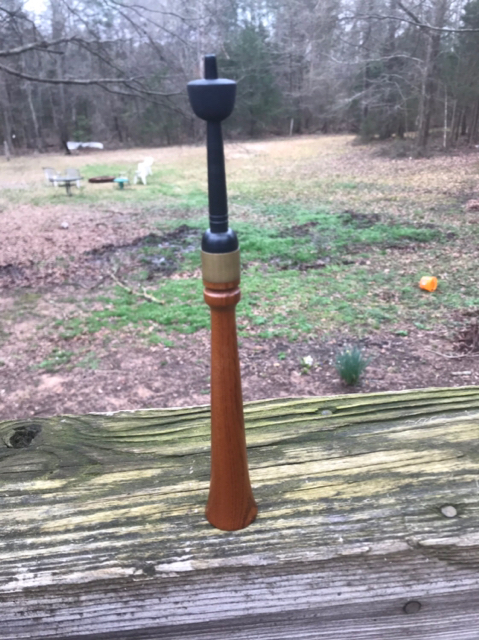 Osage doesn't have the 'flash' of some of the more ornate woods out there, but there is just something special about a Buice osage trumpet. Gobblers tend to think so to. I agree! My Buice osage goes everywhere!